Long before the rise of whistle-blowing superstar WikiLeaks, the animal rights movement had been obtaining documents that our opposition never intended for us to see. 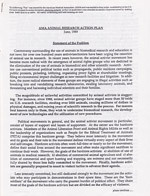 One significant example of this was when the North American ALF Supporters Group obtained the American Medical Association’s plan to counter the animal rights movement in the United States. This plot, which became popularly known in the movement as the “AMA White Paper,” was quickly disseminated to the movement through old fashioned postal mail and excerpts in sympathetic periodicals. 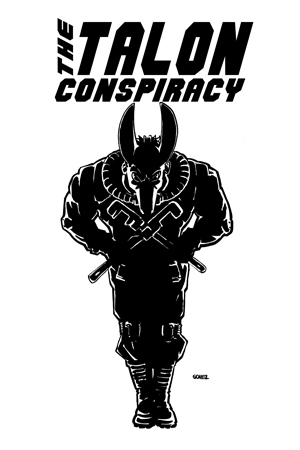 The plan itself was pretty basic and involved elements still in use by corporate PR and security firms to this day. Essentially, a wedge was to be driven between the militant aspects of the movement and the national organizations, the public was to be told that animal rights activists are anti-science and stood in the way of “choices” which the average person may wish to make, and that congress should be heavily lobbied to increase penalties for people breaking the law to save animals. These tactics are still used against the movement today, and this publication remains a vital read for those fighting animal slavery.